With its town centre location, Cluedini Live Escape Rooms in Darlington is the perfect venue for larger groups and corporate team days. The venue has 3 game rooms right now, with additional escape rooms and a function room on the way. Located within County Durham, the venue is a short journey from Northallerton, Richmond and Barnard Castle with the City of Durham just a few miles away. 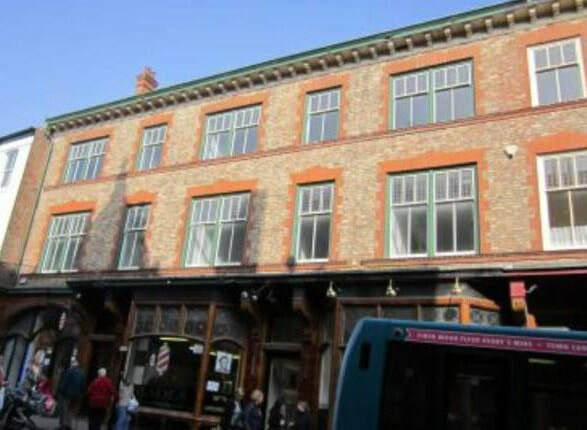 ​The escape rooms are located on the upper floors at 1a, 3 & 5 Crown Street, just around the corner from the vibrant Northgate area of Darlington. Please note that the venue is located on the upper floors of the building and has several stairs to climb - sadly, due to the age and listed status of the building, no lift is available. By Road: Darlington is relatively easy to access from either the A1 and A19 - use postcode DL1 1LU for Sat Nav's or Google/Apple Maps. By Bus: Darlington has numerous bus stops across the town, many of which stop just outside of our premises. By Train: Darlington train station is on the main London to Edinburgh line and just a short distance from the town centre. It's around a 20 minute walk from the train station to our venue, or alternatively a taxi should only cost you a few pounds. \There is ample parking in Darlington town centre, all just moments walk away from the entertainment at Cluedini Live Escape Rooms HQ. Mon-Sat 8:00-18:30: 2 Hours - £2.00, Day - £5.00. Sun 09.30-17.30: Day - £1.00. Mon-Sat 8:00-18:00: Day - £2.00. Sun 09.30-17.00: Day - £1.00. Darlington plays host to a great range of restaurants and bars, alongside a number of independent stores and popular high street chains. A large cinema complex is located in the town centre too. ​Nearby, the towns of Middlesbrough and Stockton are just a short drive away, with the Yorkshire Dales and historic Durham City a little further afield.